The car is packed. You’ve got a cooler of snacks, Tampico Tropical Punch in their tumblers and the navigation has been programmed to your destination. As you embark on your family road trip, you need to be prepared for the journey – and I’m not talking about being ready for a flat tire! It’s very important to be very prepared to fill in the time between the “Are we there yet?” plea from the kids. If not, you and/or the driver will want to quickly pull over, turnaround and head home! No need to spoil the travel! These games below are certain to take up some time and entertain the kids! Number Skip: Pick a number between 0-9. That’s the skipping number. Going around, passenger by passenger, count from 1 onwards, skipping that number and any time that it is used. Here’s an example if the number was 3: 1 – 2 – 4 – 5 – 6– 7– 8– 9– 10– 11– 12– 14. Notice that I skipped 3 and 13. It’s a tough game but keeps everyone alert, paying attention to what the next number is on the line and if it should be skipped. Name that Hum: Similar to the well-known “Name That Tune” game, the players hum a song to be guessed. It’s a tough game for the younger group but gets fun and silly as popular songs are hummed! We play it with common nursery rhymes to songs currently on the Top 40! Going On A …. : This all-time classic gets updated with new destinations and categories. Forget about the picnic, have your game be “Going On A … Safari!” Players will say animals, taking turns going through the alphabet! 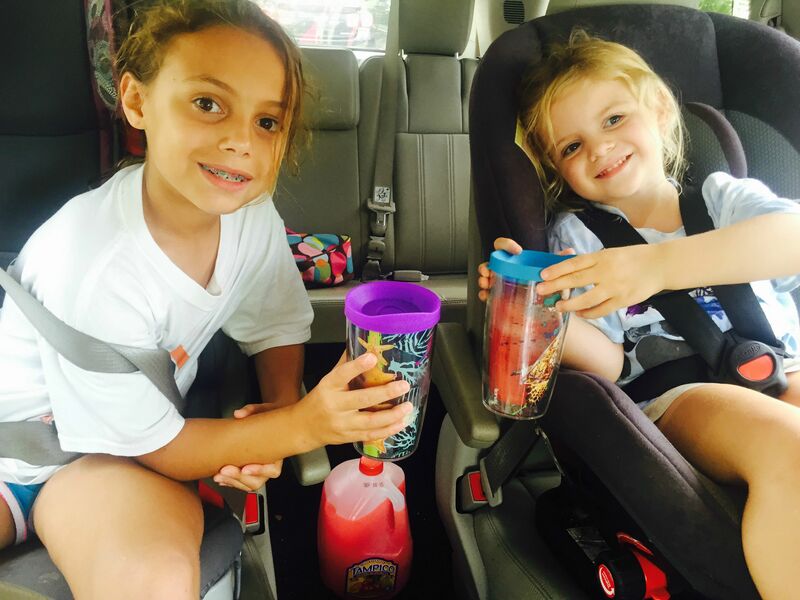 Regardless your game, snack or even destination, make your family road trip memorable and fun! These games all have variations so have fun with them! Most importantly, travel safely and have fun!